The Let’s Talk Trash team is an initiative of the Powell River Regional District’s Waste Management Education Program. They have been key partners on many projects. YouthSafe Outdoors is a comprehensive, research-based risk management program for schools. It includes safety guidelines and fully integrated support resources for people involved in helping ensure school-based off-site programs and activities are safe. It supports boards, administrators, teachers/leaders, parents/guardians and students and applies to all off-site activities/field trips including local outings; a wide range of outdoor pursuits, sports and aquatics activities; educational tours; exchanges; and international travel. The purpose of the Outdoor Council of Canada (OCC) is to ensure that the long-standing Canadian tradition of connection and involvement in the natural world is nurtured in practical and accessible ways. Terracentric Coastal Adventures Ltd. specializes in getting people out and about and exploring our beautiful and awe-inspiring natural environment. TCA is a key partner with SD47 and is responsible for the operation of the Outdoor Learning Center. Classrooms to Communities Education Network promotes outdoor and place-based education by connecting educators, hosting events and activities, and communicating the positive impacts of place-based learning. WildBC is a long-standing program of the Habitat Conservation Trust Foundation, and has been successful in inspiring educators and promoting connection to nature by providing workshops, school programs and support. A non-profit organization dedicated to aiding educators in the promotion of environmental awareness, the Green Teacher quarterly magazine has is a valuable resource for educators. 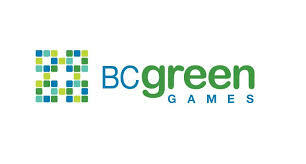 The BC Green Games provide a platform for teams of students to share stories of environmental action they have taken. The Games are designed to tie in to the changes in the BC curriculum, and create a fun, innovative way to raise environmental awareness and action. The Canadian Network for Environmental Education and Communication is Canada’s only national, bilingual, and charitable network for environmental learning. 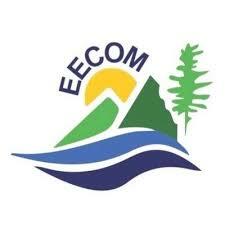 EECOM works strategically and collaboratively to advance environmental learning. We strive to ensure Canadians are environmentally literate…which means we’re engaged in environmental stewardship and contributing to a healthy, sustainable future. The Environmental Educators Provincial Specialist Association is a volunteer organization that assists environmental educators in professional development, provides curriculum supports, and supports environmental and place-based learning in BC. The Duke of Edinburgh’s Award was founded in 1956 by His Royal Highness, The Prince Philip, Duke of Edinburgh K.G. K.T. The Award came to Canada in 1963 and currently runs in 130 countries around the world. It's a program that encourages youth to be active, to participate in new activities and pursue current interests in four different areas. The Urban Farmer is a small business providing permaculture design, urban agriculture and organic gardening services to individuals, families and communities throughout Canada and beyond. Rooted in the philosophy and practice of permaculture, their expertise lies in stimulating the capacity for local food production, bio-diversity, and community development in urban, peri-urban and small-scale rural settings.